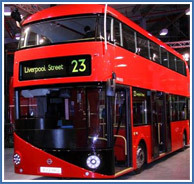 A lot of our bus glass work is carried out with operators under a service arrangement. This gives the operator the confidence that a reliable service - supported by layers of back-up teams - is fully covered contractually. Also much of our bus glass work is carried out between service peaks to minimise the risk of a VOR (vehicle off road) situation and maximise vehicle availability and this very often means a glass replacement service is required at night times or at weekends. 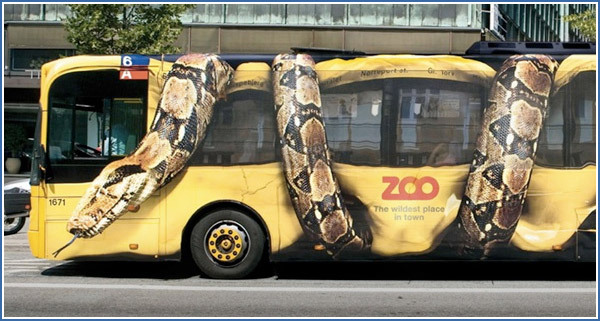 The application of a clear film to the inner face of a replaced bus body sideglass is an obligatory requirement with many operators seeking asset protection. 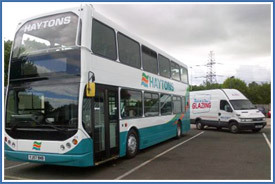 Bus and Coach Glazing use the industry standard 100-micron polyester in most applications to provide an anti-graffiti defence to the glass and safety security to the vehicle occupants. Please also see the iGP (Intelligent Glass Protection) website for more details. The application of Hexis S.A. high performance wrap-over vinyl filming for either graffiti protection and/or visual graphics is a speciality of iGP. For all your Glazing Product Solutions, specialist glass installations and transport replacement windscreens and body side-glass requirements, contact Bus and Coach Glazing on 0800 220077 or fill out our online order form.